A further refined version of the battery-powered Beaver Bolt, seen here in 2018, will return to the Shell Eco-marathon competition for ultra-high efficiency vehicles. Astonishing feats in automotive fuel efficiency will be tested in competition later this week by high school and university students from Oregon, Washington and British Columbia. Oregon State University, Granite Falls High School in Washington and the University of British Columbia are represented among 92 teams headed to Northern California's Sonoma Raceway. 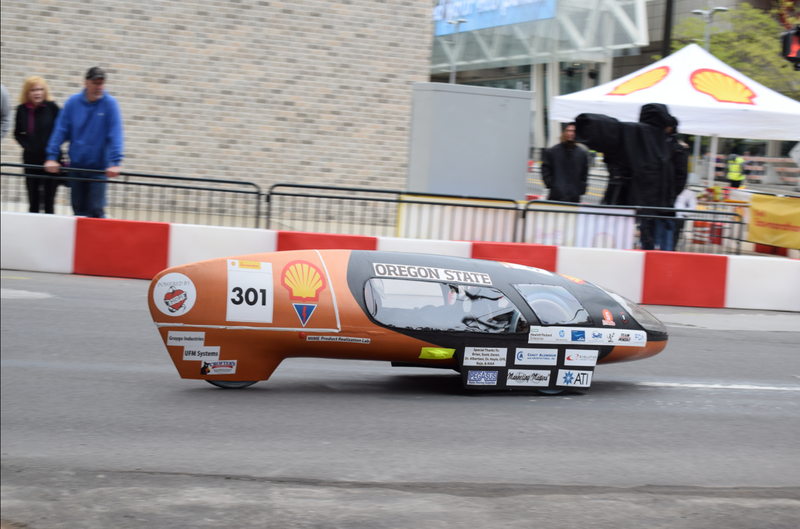 They will compete from April 3-6 in the Shell Eco-marathon for the title of most fuel-efficient car. OSU senior Aron Walker said the tadpole-shaped one-seater that he and other mechanical engineering majors worked on is nicknamed the "Beaver Bolt." It is powered by an electric motor and a lightweight battery slightly larger than you would find in a cell phone. "Essentially, on more or less two phone charges we can go 40 to 50 miles," Walker marveled. Walker said some features of the hand-built, super-efficient prototype that might carry over to your future car include its carbon fiber body, which saves weight, and the battery management to extend range. Composite carbon fiber materials can be found in high-performance sports cars today, but have yet to find much mainstream adoption because of the price. "We've worked as a team really hard to find every lightweight solution for every problem we had," added OSU senior Nathan Imholt. "I know the people that I'm competing against and that I'm working with are going to be the engineers that build the cars of the future and kind of make the world so much better down the road." The Urban Concept division emphasizes energy-efficiency within "roadworthy" parameters such as requirements for rear-view mirrors, headlights, four wheels and turn signals. The Prototype division is the more freewheeling and futuristic category where maximum efficiency sometimes trumps practicality. Within those two categories, teams can build drivetrains powered by different energy sources such as gasoline, diesel, ethanol, hydrogen fuel cell or electric batteries. In last year's Eco-marathon Americas races, the winner in the gasoline-powered category achieved nearly 2,000 miles per gallon. The Granite Falls High School team is entered in both divisions using diesel engines. The UBC engineering students' aerodynamic entry in the Prototype division sips gasoline. The driver drives lying down and steers with handlebars similar to a motorcycle. Last year, the UBC students achieved 960 mpg at the Shell Eco-marathon. The UBC's swoopy Urban Concept vehicle runs on electric batteries. The three-wheeled Oregon State "Beaver Bolt" has company in the raceway pits this year from a second OSU team, which is driving an electric city car named the "Beavermobile." That one-seater with two gull-wing doors vaguely resembles a shrunken VW Beetle in profile. 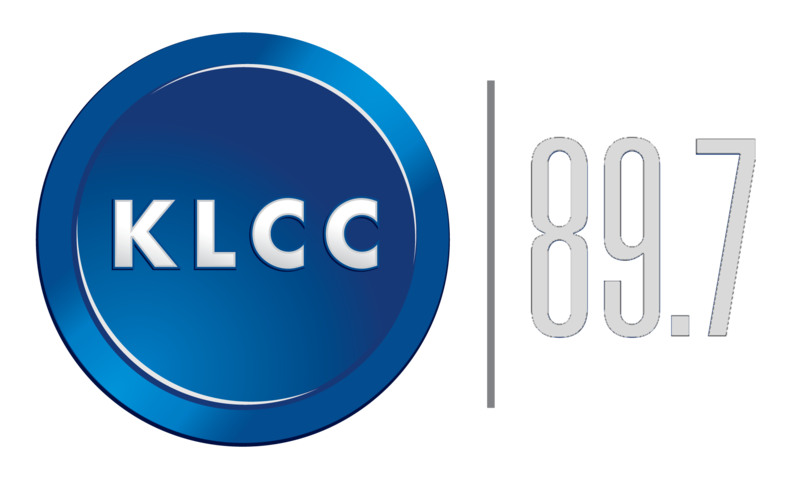 Copyright 2019 Northwest News Network. To see more, visit Northwest News Network.